As a recruiter, I talk to candidates all the time. It’s my job to get you to share your past experiences and a bit of your personality to see if you’d be a fit for the company. To talk to you—to get you to open up. Unfortunately, though, some candidates take that too far. Here’s the thing: No matter how comfortable a recruiter makes you feel, there are a few things you should just never say. It’s your mission to keep it professional—always. Here are three things I hear all the time that will definitely kill the vibe—and cost you a job. There will come a point in the interview where I’ll ask, “So what’s missing or lacking in your current role that is making you entertain outside offers?” And this is where it gets nasty at times. People with no filters will rant on and on about their job, boss, or company, how terrible it is, and why they can’t wait to get out of there—and it only ends up painting them in the worst light. Address the boss, job, and company in a way that is neutral, and never make it personal. (I once had a candidate tell me that she wanted to leave her current role because she was, “in an office of old white men and needed to be around cooler peeps.”) If we’ve learned anything from Olivia Pope, we know there’s always a way to “spin things.” Always. Here are a few tips on how to do it right. Not being clear on what you want to do tells me that you’re not truly passionate about any specific role. Even if you are—you’re just trying to get a job—“I’ll do whatever”dilutes your brand, and that’s never positive as a job seeker. Here’s the thing: I know it’s on your resume, but if I’m asking you about a particular job or experience, I want you to tell me more beyond a written word. I’m actually evaluating your communication and social skills. Are you articulate? Should you be client-facing, or are you someone we need to keep hidden in the basement next to the IT lending library? If a recruiter is asking you about a certain skill, don’t reference your resume (you should be able to expand beyond a phrase or bullet point anyway), and instead use it as your moment to shine. Stand out against the rest of the candidate pool, and wow us! 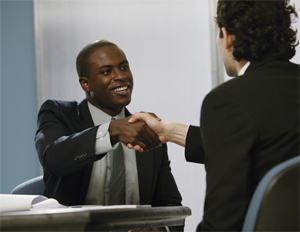 Remember: Recruiters can be great allies in your job search. Just make sure you’re managing the relationship the right way.